Allows your clients to search/filter the products on their WooCommerce downloads page. 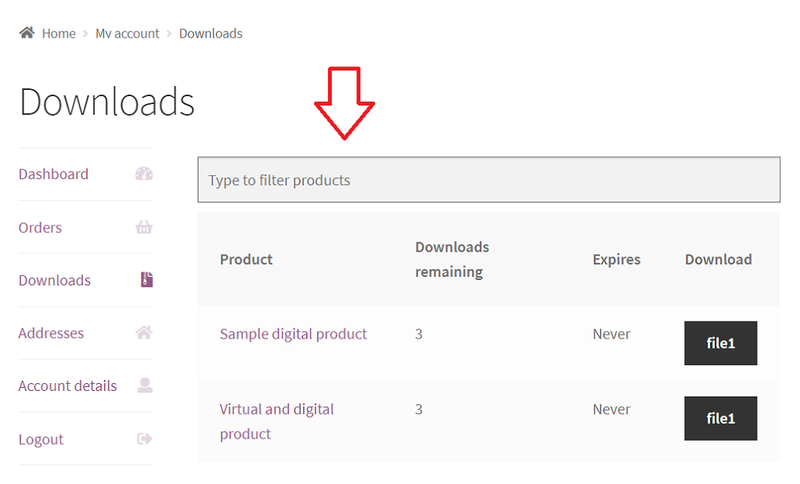 This is a paid WooCommerce extension that adds one (or two search boxes) on the WooCommerce downloads page. The plugin is very efficient and loads only on the WooCommerce downloads page. * Shows or hides products just by typing in real-time without doing any page reload or database queries. * If there are more than 5 products a second filter box will show up at the end of the product listing.